The new €20 banknote. Picture: Jason Clarke. 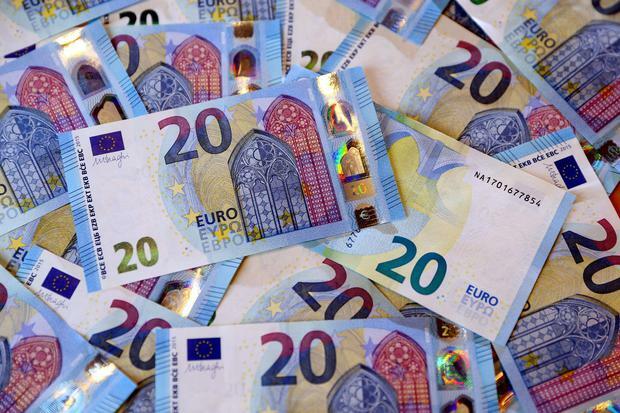 A new version of the €20 note will begin circulating today. The note is the same size and of similar appearance to the existing note - but has additional security features including a portrait watermark of the Greek goddess Europa, and raised lines along the side of the note. Part of the reason for the redesign is to reflect new countries that have joined the EU since the old notes were issued. The existing €20 note remains legal tender, and the new €20 will circulate alongside it. The total number of €20 banknotes in circulation in the euro area was 3.2 billion as at end-October 2015.